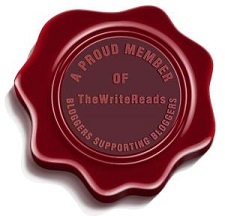 Psst I found this at Becky’s Book Blog. Please go check her out! Copy the first few lines, but don’t give anything else about the book away just yet – you need to hook the reader first. Now as a bonus– I’m also doing my favorite first line of a chapter– from a second book because it is my first time and I thought it would add some fun!! Here’s this weeks first line/lines of the book…. Since this my first First Line Friday I am going with my favorite first line which should surprise NO ONE…..
Of course they were wrong… Every act of violence was deliberate, and every favour came with enough strings attached to stage a puppet show. Kaz always had his reasons. Inej could just never be sure they were good ones. Especially tonight. 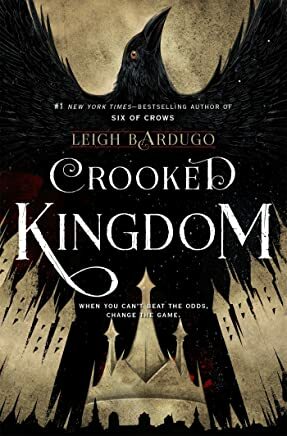 Six of Crows by Madame Leigh Bardugo of course…. Matthias would be atoning for the mistakes he’d made in this life long into the next one, but he’d always believed that despite his crimes and failings, there was a core of decency inside him that could never be breached. And yet, he felt sure that if he had to spend another hour with Alys Van Eck, he might murder her just for the sake of a little quiet. Ok… now that is out of my system for my FIRST First Line Friday… I can move on to other fantastic first lines… or the closest ARC on my Kindle or Library book waiting for attention by my bed!!! What are some of your favorite first lines or the first lines of the closest book to your or your next TBR or ARC? Thank you for visiting and sharing. You can find me on Twitter @literacybatman. It’s a very raw, gritty, but extremely compelling book. The Light Brigade by Kameron Hurley, my latest ARC I’m about to finish. Woah back that train up!! Love this— dont just fight the darkness bring the light… what book?? “Kaz Brekker didn’t need a reason” is literally one of the most iconic first lines out there, along with “Look, I didn’t want to be a half-blood” and “Mr. and Mrs. Dursley of Number Four, Privet Drive, were proud to say that they were perfectly normal, thank you very much.” Like, if I can quote it without having to look it up, it’s iconic. Completely agreed! If a first line is committed to memory then it is a keeper and that is some incredible company to keep for sure. Wow two top books to start off with! If i hadn’t already read and loved these I would definitely be picking them up.